Last month, I had the pleasure of speaking at the INC Yourself workshop, presented by the St. Louis Comptroller’s Office in conjunction with St. Louis Community College. I was on deck to discuss social media and how it can be utilized by small business owners and entrepreneurs. 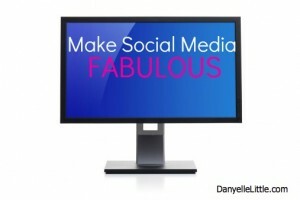 My presentation was based on my favorite word: FABULOUS, and was entitled Make Your Social Media Fabulous. I feel that social media, when done right, can really help propel a business or idea. Without social media, I wouldn’t be able to reach my readers, or build a web audience like I have. U nderstand- understand what it is you are doing and offering in your business. I will be talking more in depth about how to Make Social Media Fabulous on this site in the next upcoming weeks, so stay tuned!